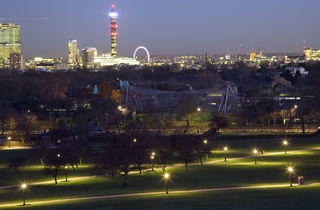 Primrose Hill, on the north side of Regent's Park, commands one of the most iconic views over London. It's a popular picnic and kite-flying spot. The surrounding area of the same name is just as attractive as the celebrities who frequent the gastropubs and quaint cafés along Regent's Park Road and Gloucester Avenue. Great place for all seasons, whether you like to sledge down on snowy days or lounge around and bask out in the warm sunshine. Fly a kite on blustery windy days, kick about in the autumn leaves with gorgeous views over London this is a must visit for any Londoner. Watching the sunrise or sunset over the city from here is just magical. Open from 5am this is great place for quiet reflection or to catch up with friends. Want a great view of London? Primrose is the perfect place for you. Curiously more charming than the Hampstead one, the view is breathtaking. London’s skyline feels both far and near and gives you this ‘I love this city’ feeling. You can come here anytime of the day but at dawn it’s majestic. Once you’re done with the view (if you ever are), you can take a walk in nearby Regent’s Park, visit the zoo or just head to Camden. Great place to have in your books. A popular chill out zone for groups of young people on hectic nights out in Camden town who may climb to the summit to enjoy the staggering panoramic view of nighttime London while supping on a couple Red Stripe. Marijuana is occasionally smoked in the same fashion as roll up cigarettes by the revelers. 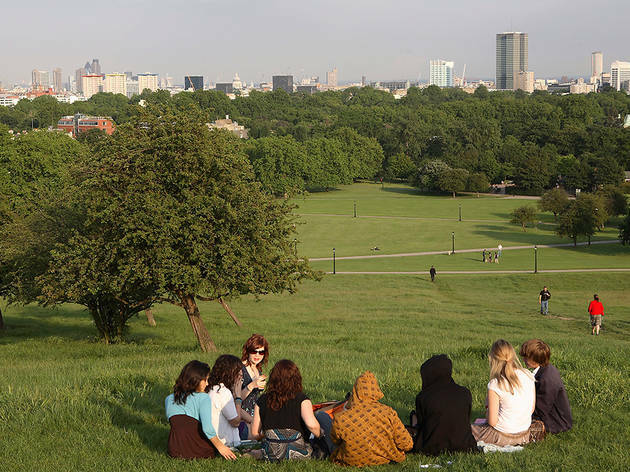 Primrose Hill is also perfect for civilised daytime picnics, or crashing an outdoor 'natural zen yoga' class, which could also be described as 'stretching on grass'. Primrose Hill is best enjoyed during the golden hours around sundown on a hot July evening, after the wasps have pissed off but before the bitey flies come out en masse. Sightings of actor Jude Law riding a unicycle have been known at such times, though they are rare. I've been using the sunshine as an excuse to tick off as many of London's parks as I can. Primrose Hill has to be one of the most beautiful spots to soak up the rays. 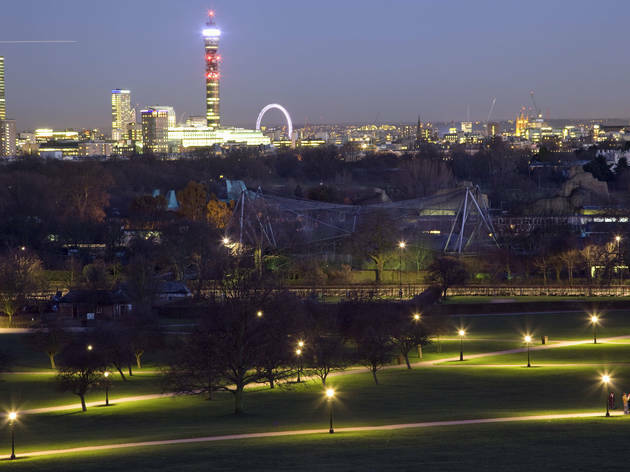 The hillside offers incredible views over London that really make you appreciate its beauty. Although you can't/shouldn't judge a park but those who use it, the people I came across were friendly. As other reviews suggest, a great spot to watch the sunset! Primrose Hill is magical. It's amazing how you can find yourself in this little oasis just a few steps away the crazyness and busyness of Camden Town. The view is stunning, you can see the biggest sights of London (from the skycrapers to London Eye). I would recommend to watch the sunrise from here as you could have an advantage of an empty park (usually it's super busy during the day). If you want to get away from the city's hustle and bustle then this is the place to be! 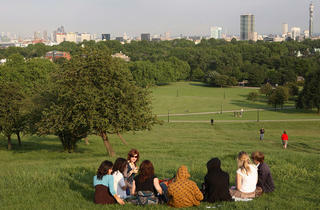 Primrose hill is perfect for a picnic, chill out with friends or even some self reflection time! It's even more beautiful at night with London's sky line all lit up! A true little hidden gem! 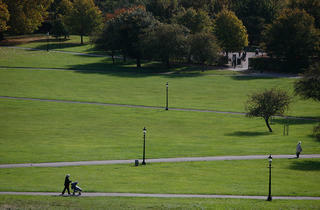 Winter or summer, rain or shine, this stunning open space will not let you down! 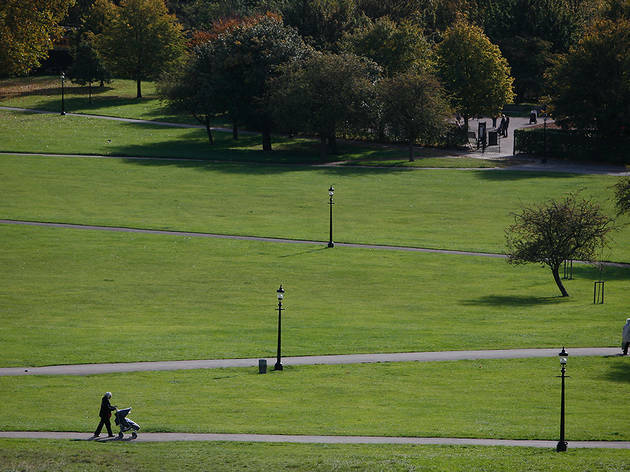 Primrose Hill is a lovely green space just 15 min walk from Chalk Farm and Camden Town, on the north side of Regent's Park. It's a great space where to have a walk to unplug from the busyness of London, jog or simply watch London's breathtaking skyline during sunset. 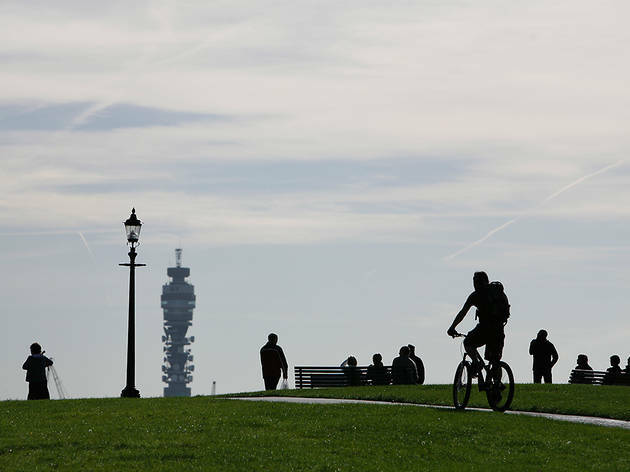 A good thing is to maybe go just before sunset for a quick workout or jogging session reaching the top of the hill, and resting while being surrounded by landmarks like the BT Tower, the Shard, London Eye, The Gherkin, etc... you won't regret it! Plus, if you're hungry, just walk to Camden Town, a true foodie haven! 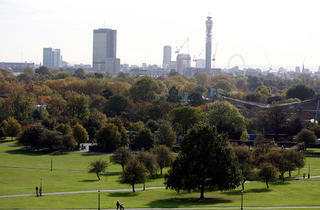 For amazing views of London and for green open spaces, Primrose Hill certainly offers that. Well located between Chalk farm and Camden, this hilly park is great for a sunset picnic. There is also a viewing point at the top of the Hill with a visual map of some of the important buildings in London's skyline. What an insane view of London sky line. One of my favourite parks in London. It gets so packed on the summer, but totally worth it. Top Tip Great place to go and spend New Year's Eve at midnight, you can see the amazing fireworks across Londons sky line. Located just north of Regents Park. Primrose Hill boats stunning views of London, and this is the perfect backdrop for a picnic on a warm summer's day (or any other time really). Definitely one of my favourite chill spots in London. It is generally quite a popular spot drawing in the crowds (both locals and tourists alike) to take in the views. This is one of my most favourite spots in London. 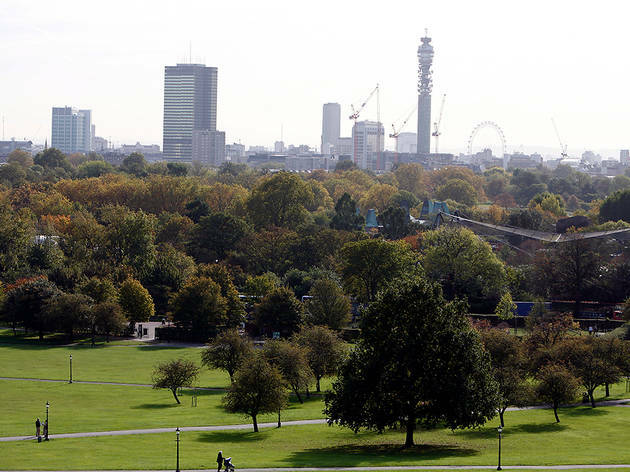 Regent's Park is already a stunning park and walking up to Primrose Hill you can see the London sky line beautifully including landmarks like the Shard, BT Tower, London Eye, the many sky high buildings of the City of London etc. It's a great spot to just sit and relax with friends, family and other halves! Great location - within walking distance of Camden Town and Chalk Farm. You can reach the park from both in under 15 minutes. 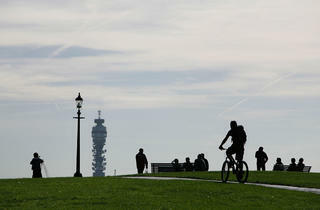 The view is beautiful and rivals any other, with the prominent London sky line in full view from the top of the hill. If you work or live locally, it's also a great place to jog or run, with clear paths and hills to really work up a sweat! In the summer months it's heaving with locals and tourists out for their afternoon picnics, but there's always enough space left to enjoy the surroundings. The view is amazing, you can see all the buildings in the city, the London eye, the Regent's park... I love going there in the evening so that I can see the sunset, but it is beautiful at every time of the day. Very close to Camden Town, that's why I usually spend a whole day in that area.